Sandy textured rust colored vintage wallpaper for this sea shell handmade birthday card great for guys or girls. 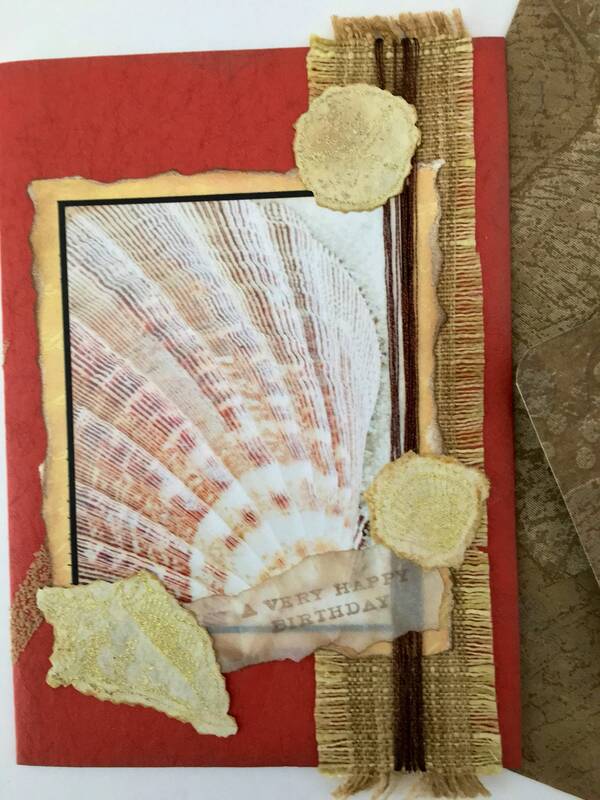 Sandy textured embossed sea shell accents with fabric and shiny bronze thread and Happy Birthday inside message on inked parchment paper. Handmade gold tissue paper lined envelope, also from vintage wallpaper. If card is to be mailed, extra postage required...worth it!